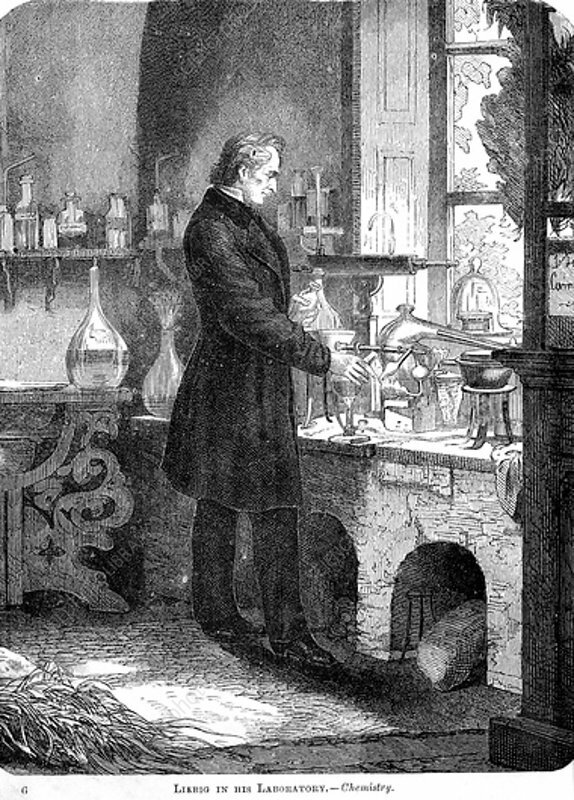 Liebig in His Laboratory-Chemistry', mid 19th century (c1885). German chemist Baron Justus Freiherr von Liebig (1803-1873) was one of the most illustrious chemists of his age; he was the founder of agricultural chemistry, a discoverer of chloroform and chloral and, with Friedrich Wohler, of the benzoyl radical. He vastly extended the method of organic analysis, and invented appliances for analysis by combustion and also Liebig's condenser.